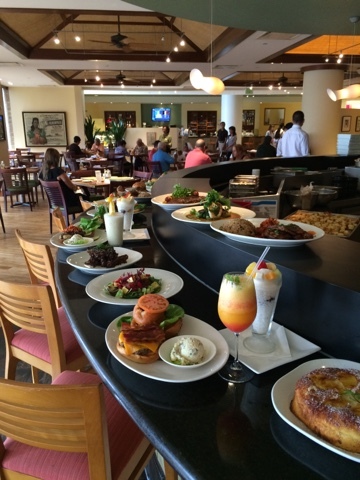 Hawaii Mom Blog: New Menu Items at the Pineapple Room by Alan Wong! New Menu Items at the Pineapple Room by Alan Wong! Alan Wong's Yuzu Soda! Other flavors include Watermelon, Lilikoi, and Blueberry! I am a big fan of The Pineapple Room by Alan Wong located on the third floor inside Macy's at the Ala Moana Shopping Center. I'm also a huge fan of breakfast so I was very excited to attend the media preview of the Pineapple Room's new menu items for breakfast, lunch and dinner! Breakfast will be served only on the weekends, but all the choices on the menu for lunch and dinner had my head spinning...in a good way! I love that at the Pineapple Room you can get whatever you're in the mood for; whether it's a juicy grass fed beef burger or something a little more refined like the New Zealand Furikake crusted salmon served with ochazuke risotto. Everything here is delicious! 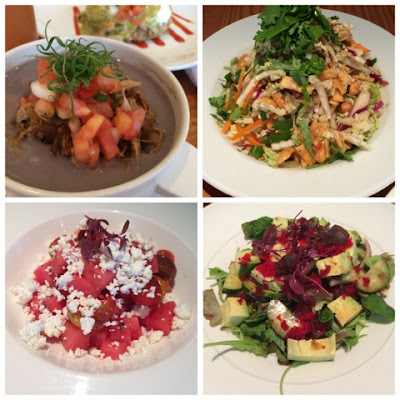 Just a sampling of the beautiful dishes! L-R: "Wong Way" Bloody Mary with ume paste, li hing mui, and wasabi rim; the "Pan Cakes" seen here in Pineapple Upside Down is also available in Banana Upside Down; "The Bees Knees" generous slab of cream cheese on the yummiest toasted scones and topped with sliced almonds, candied pecans, macadamia nuts, dried cranberries, granola, big island honey drizzle and Hawaii Island Dairy goat cheese crumbles; and Big G's Taco Omelet. Some starters from L-R: "Da Poi Cup" Hanalei Poi, kalua pig, and lomi tomatoes; Asian Salad; Ho Farms Tomato & Watermelon Salad; and Sashimi Ahi Avocado Salad. Is your mouth watering yet? 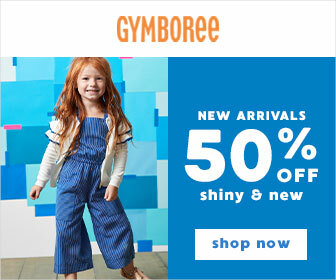 Ahh, the entrees! L-R: "Loco Moco" Makaweli Kaua'i beef hamburger patty, fried rice, two Peterson farm eggs, veal jus; Kuahiwi Ranch teriyaki burger with housemade kim chee; Tempura battered fresh island monchong with tsuyu dipping sauce; Chinese Style Steamed Opakapaka; Hoisin Sriracha glazed short ribs (so tender! 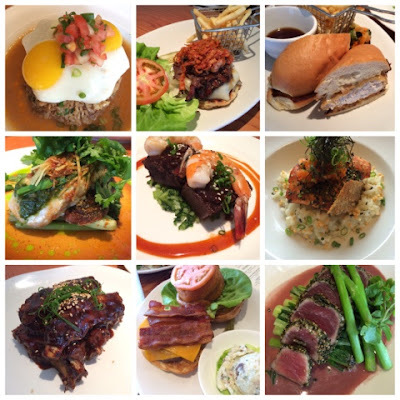 ); New Zealand Furikake Crusted Salmon; Kiawe Grilled Kalbi shortribs; Pineapple Room Burger; and Nori crusted rare Ahi. Bring lots of people so you can try everything on the menu! Hope you saved room for dessert! 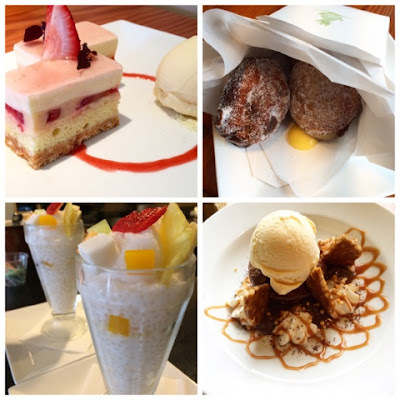 L-R: Kula Strawberry Tiramisu; Housemade Malasadas in your choice of Lilikoi, Dobash, or Haupia; A Pineapple Room classic: Haupia Tapioca "Halo Halo" served with fresh fruits, sweet corn, azuki beans, and coconut shave ice (YUM! ); and Waialua chocolate brownie a la mode. 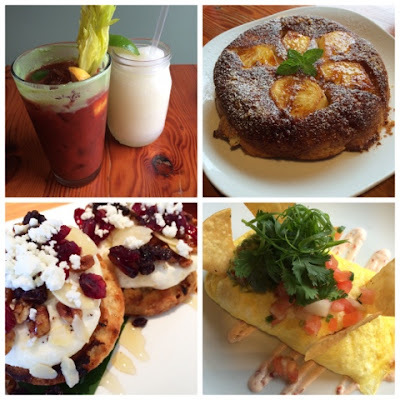 The above is just a portion of what's available on the menu. Your dining options at the mall just got that much better! Follow them on Instagram @alanwongspineappleroom. 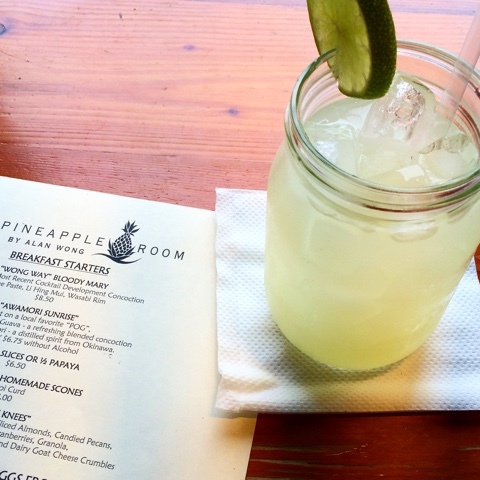 The Pineapple Room by Alan Wong is open daily.